Type PKM capacitors made by Cornell-Dubilier are designed to provide a long operating life with trouble free performance. 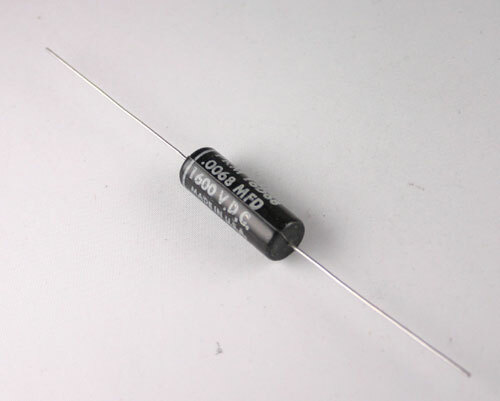 The dual dielectric element combines the long life characteristics of impregnated kraft capacitor tissue with the excellent mositure resistance of polyester film. It offers non-inductive foil construction and tinned copperclad steel wire leads. Made in USA.